An amazing example of animals surviving in desert environments are the Bactrian camels. 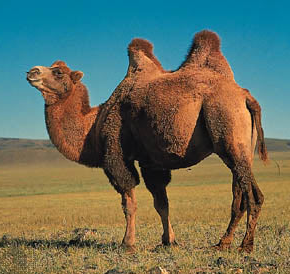 Like their cousins the Dromedary (Arabian) camels,the Bactrian camels store water and fat in humps on their back. These camels have two humps rather than the single hump of the Dromedary. As they deplete these fat stores, the hump will become floppy. However it is not their iconic humps that make these critically endangered camels so special, but their extreme environment. Somehow these camels have adapted to an environment even more extreme than the Sahara desert in which their cousins are found. Bactrians live mainly in the Gobi and Gashun Gobi deserts of Mongolia and northwestern China. Temperatures here reach over 100°F in the summer then fall to –20°F in winter. Water in this extreme environment is usually only found in the form of snow. The problem with this is that eating large quantities of snow can actually be harmful to these animals. As such, they have developed the habit of limiting themselves to just a few mouthfuls of snow at a time. When they do find other sources of water they can guzzle up to 30 gallons in only 13 minutes. These camels were historically hunted for their hides and meat. While they are not really hunted anymore, even to this day they are still persecuted as they are seen as competition for livestock. With only 1,000 individuals left these amazing creatures find themselves in a dire position. There is hope though. Areas where these camels still occur are protected by the Great Gobi Reserve in Mongolia and by the Lop Nur Wild Camel Reserve in China. Captive breeding efforts have also been established with the hopes of re-wilding captive raised camels to boost wild populations. Recent studies have found that the milk of Dromedary camels can be a substitute for insulin and it is hoped that further studies will find the same to be true with Bactrians. If this is proved, this valuable use for live Bactrians could spur further conservation efforts and funding. This lizard is equipped with unique feature: track shoes. Before my trip to Tanzania and Kenya I spent a lot of time in Arizona visiting family. We spent several days hiking through local parks and reserves. On one of these such trips to Estrella Mountain Regional Park while I was enjoying the hidden beauty of such a harsh landscape I found myself thinking about how animals manage to survive in such unforgiving landscapes. This period of contemplation may also have been triggered by having just finished “Cry of the Kalahari” by Mark and Delia Owens in which they spent seven years studying how animals survive in the Kalahari desert. While the word desert comes from the latin word “desertus” meaning abandoned, it is truly amazing how much life there is hidden within deserts. These extreme ecosystems can be found all around the world. Even the most barren and harsh environments can still support some form of life, although this is typically not seen by the average visitor to these landscapes. Animal life is usually nocturnal in these environments and plants may lay dormant for months or years waiting for those rare and brief periods of rainfall to conduct their life cycles. 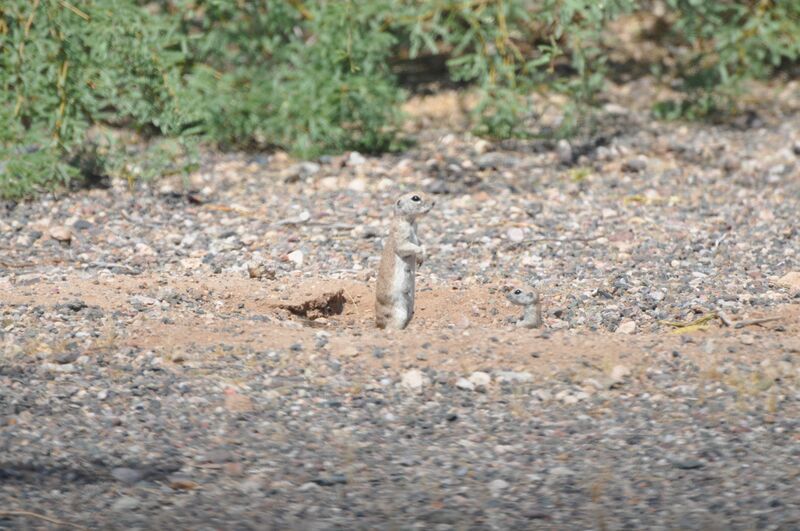 Possible source of shade for desert dwelling creatures. Desert dwelling animals have adapted to living conditions that are both fierce and beautiful. 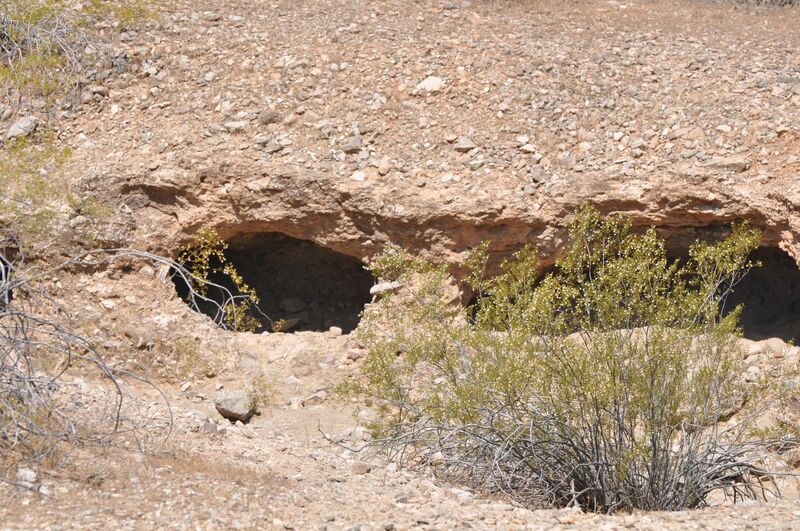 With searing daytime temperatures very little animal life is found during the day. That being said some critters have developed habits that allow them to stay active during daylight hours. Kangaroos for example have developed the behavior of licking their forearms to coat them in saliva. These areas of their arms have clusters of blood vessels close to the surface of the skin to allow heat to quickly escape as their saliva evaporates. Many other species have developed ways of dispersing heat. These species typically will still lie up in the shade during the hottest times of the day and resume activity in the mornings and evenings when it is cooler. As night falls deserts come to life. Owls, foxes and other predators begin their hunt by the light of the stars. This is also when most foraging by rodents occurs. Along with the heat a lack of water is the other great challenge for desert dwelling species. For many rodent species metabolic water is their greatest source of moisture. That is they receive the bulk of their water through what is realized during digestion of food. Similarly, brown hyenas in the Kalahari rely heavily on ostrich eggs for water during periods of drought. Cactus can be a very important source of water for many desert ecosystems in the Americas, with many species adapted to feed on cactus. In one of the most extreme deserts of South America the only moisture comes in the form of fog rolling off the coasts which is then trapped in vegetation such as cactus to make it available to animals. Study: Amphibians disappearing at alarming rate – Yahoo! News. US will destroy ivory stockpile to fight wildlife trafficking – Yahoo! News. Chimps in Uganda: Earthquake on Chimp Mountain – Yahoo! News. Namibia’s Wildlife Evolution: How Trophy Hunting Supports a Nation | Outdoor Life.